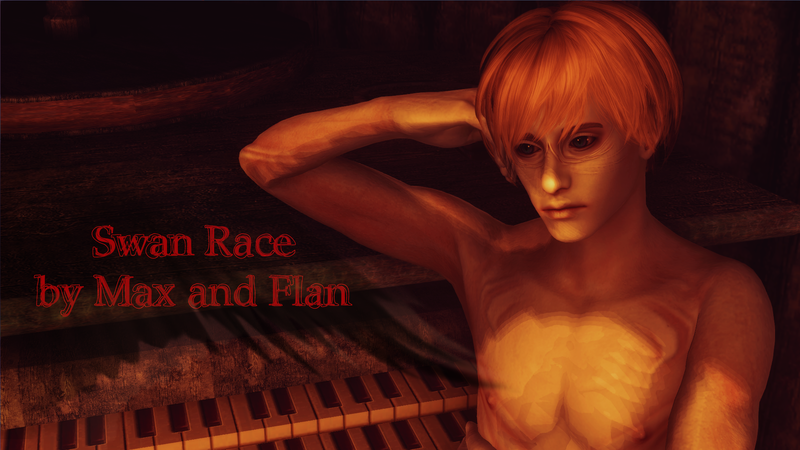 Here, have an update for the Swan race (relz summer 2012). General change: the headmesh was changed to one of Robert's heads, the face texture was tweaked a little. The mod has been packed as a .bsa file. 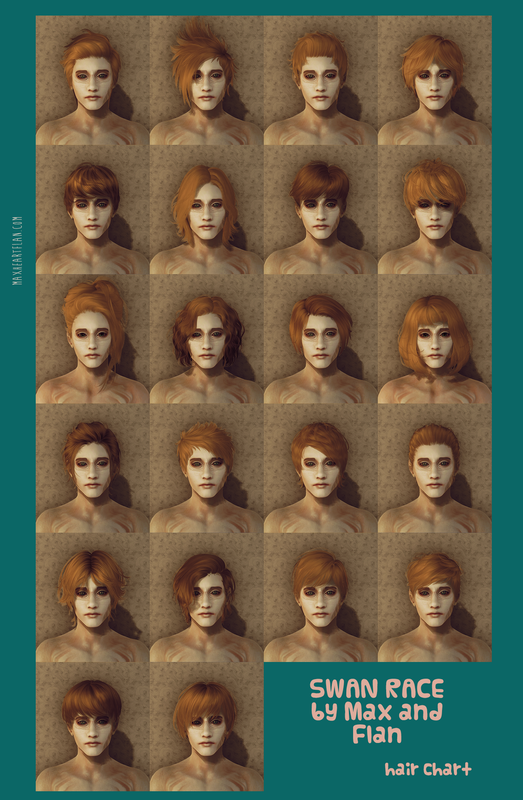 Also, the update includes 22 hairs by Newsea, some are nicely retextured (see the full credit list inside the mod). A couple of female hairs was added to the race as a compliment for those who use our races, since there's plenty of good hairs for the girls made by wonderful Newsea in particular, and by the Sims modding community in general. 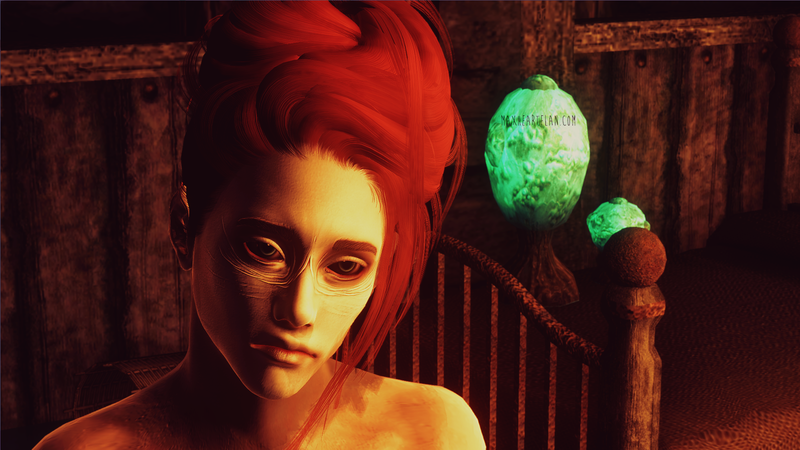 Even if I seldom use female characters, I could hardly resist porting some of those hairs. I am coming for you. WHY DID YOU DO THIS TO ME??? I MIGHT HAVE BECOME A ROCKSTAR, OR A MODEL. Abandoned and left to bleed out in silence i couldn't die, this made me suffer even more. Flowing my tired body down the river, i wondered; i've been thinking about whoever he was, that scraped life out of me so meticulously. I then found myself laying in a ditch, my opened abdomen gaping at the sky above. I was pleading for HELL. But the winter rain has stitched me together somehow, and all the furrows of anticipation were washed away. Will YOU LOVE MY BODY NOW since it looks just the way you wanted??? I rot so intricately from the inside. Those rigor mortis flowers on my face are blossoming just for you. Where are you? Hurry, fill up my wounds with liquid caramel. Upholster my sugarrrbones with a black polyethylene. I am still wet, I touch myself with my pruney fingertips, yet i realise i sssooo missss the taste of metal on my throat. Piercing, making me gasp. 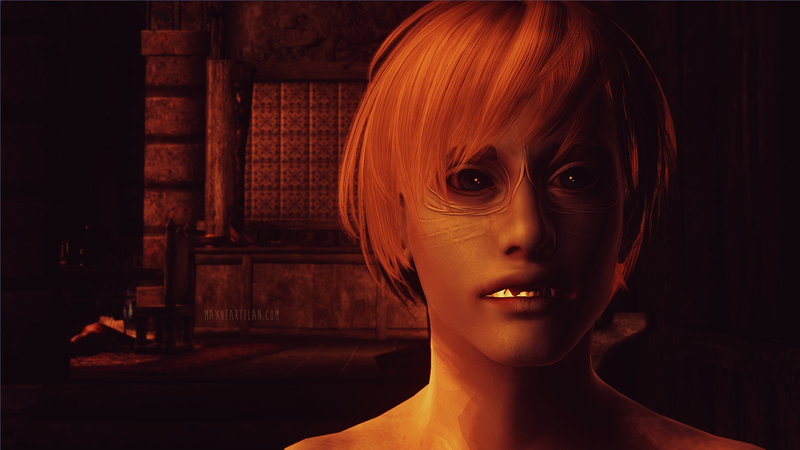 The following body variations: Robert's male body ver5.2 scrawny, Robert's female + ANB upperbody E cup with moving breasts are included in this mod. The Swan is a wandering ghost, in fact. This is a race of the undead persons who were violated and drowned in a deep deep lake. They've got a victim look on their faces, such a pattern you know, notifying that this person didn't use to struggling during the lifetime. However now, when life is gone, their spiteful ghostlike entity awoke an extra strength and endurance in them. Skill bonus: blade, block, and blunt. Swan is resistant to frost and paralyse. Also, they're resistant to drowning- one could not step twice into the same rivers, as people say. 7 eyes. 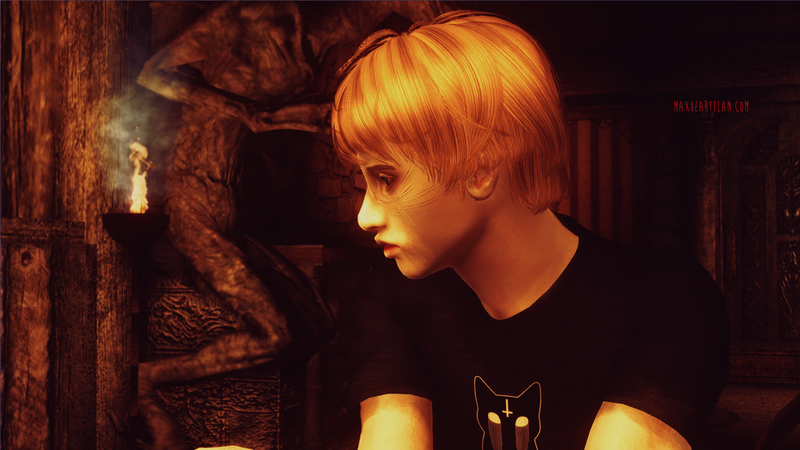 + i included 1 Flan's ghost eye texture for the Elaborete eye mesh. you have to put the E-e eye in game yourself though. 2 face textures, one with light, and one with dark brow colour. 2 genders - male and female. Newsea - newseasims.com or http://newseasims.tumblr.com/ - original hair meshes and textures. Such detailed and creative mod. I appreciate all the time you spent on this race, because it was so worth it. Sure thing a complete masterpiece. UW, anonymous. Hope you're enjoying Swan with the newer faces.